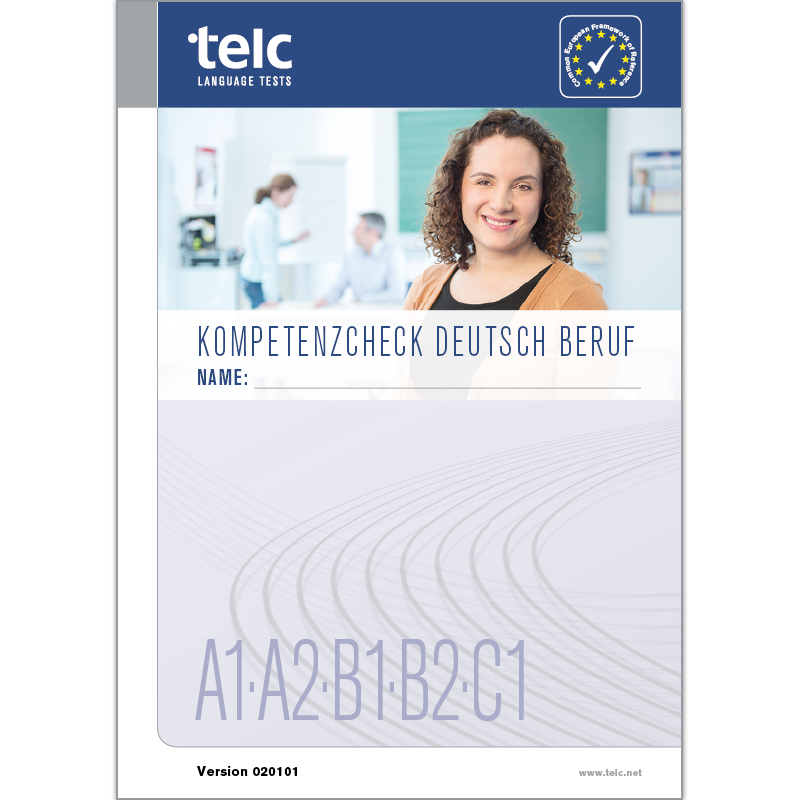 The telc Kompetenzcheck (competency check) offers you a standardised and validated instrument developed specifically for placing applicants in job-related language courses and vocational support programmes. The competency check has been developed to support you in advising migrants wishing to attend courses aimed at transitioning them into the workforce – whether language courses or courses for earning professional qualifications. The competency check helps guide you through the application process in providing a placement test (German for professional purposes, CEFR levels A1 – C1) and in documenting the applicant’s educational and professional training history. Results can be collected and recorded in the accompanying results sheet immediately. The competency check is flexible: Depending on the job and/or vocational support programme the candidate is applying for, you decide which tasks or skills to keep in or omit from the interview. If you are a language consultant or a social worker, you may administer the competency check. a placement test consisting of language elements, writing, and speaking tasks for determining work-related language skills in German (CEFR levels A1 to C1). As a whole, the booklet for applicants keeps a record of the interview and the results of the placement test neatly together. The instructions for conducting the competency check guide language consultants and social workers through the interview and include a description of the assessment criteria for the writing and speaking parts of the exam. The competency check is available as a complete package for one, 50 or 100 applicants. It also includes a booklet for each applicant and the instructions for conducting the competency check.